Born August 1, 1836, Halifax, Nova Scoria; died August 8, 1911, Oak Park, Illinois. 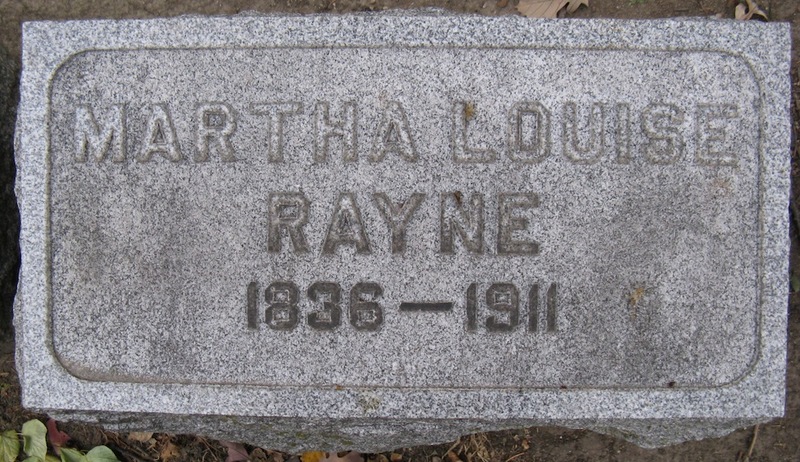 As a woman journalist, Martha Louise Rayne could go where no man was allowed. Thus, she obtained an interview with Mary Todd Lincoln while Mrs. Lincoln was confined in a mental institution in Batavia, Illinois, and was able to meet with and photograph members of the Beecher family during the much-publicized adultery trial of the famous preacher, Henry Ward Beecher. Born Martha Louise Woodworm, she married Robert Weir Rayne when she was only nineteen years old. Her husband ran a number of unsuccessful businesses, and in all probability, she was the family breadwinner. Of their ten children, only two daughters survived to adulthood. The Rayne family arrived in this area in the early 1860s. Rayne wrote for the Chicago Tribune under the pen name "Vic," and later became the editor and owner of The Chicago Magazine of Fashion, Music and Home Reading. 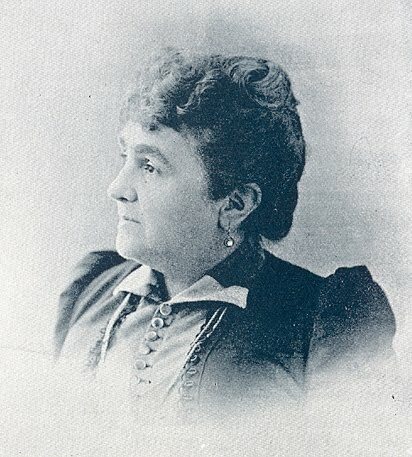 She also launched a successful lecture career, wrote five novels and two non-fiction books, and interviewed President Grover Cleveland, Henry Wadsworth Longfellow, and John Greenleaf Whittier, among others. After her daughters married, she moved to Michigan and joined the staff of the Detroit Free Press. 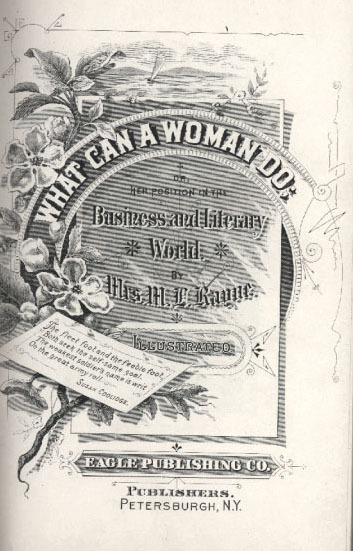 Although she was never an advocate of women's rights, Rayne s most popular book, What Can A Woman Do: Or Her Position in the Business and Literary World, gave advice and counsel to women who would follow her into journalism. By 1885, she had developed her ideas for a "school" of journalism, rather than simply journalism courses, which she opened the next year. Her biographical sketch in the 1910 Who's Who in America credited her with having established the first school of journalism in the world. Mrs. Rayne spent her last twenty years in Oak Park with her daughters. She established a second school of journalism in Chicago, and continued her free-lance writing and reporting until her death from cancer. In 1998, she was inducted into the Michigan Journalism Hall of Fame.